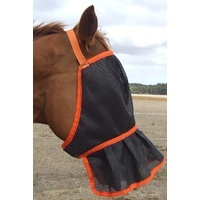 Ecotak Fly mask with a nose skirt. 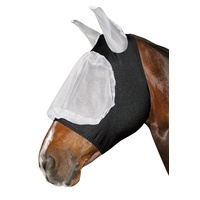 Made for the horse with a pink nose that needs that extra bit of coverage. 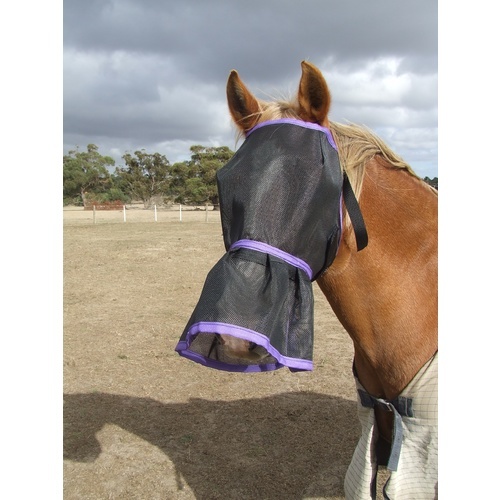 Also a great alternative for the horse that continuously tosses their head when wearing a fly mask with a more traditional nose flap. 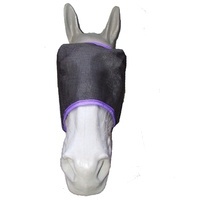 No part of the nose skirt sits on the horses face. All materials used are UV stable. Designed to be worn all day everyday and the mesh used is also safe to use at night for those that taking them on and off isnt a practical option. Please note this is only a guide as the breed/build of your horse plays a factor in the size they would wear. For example some thoroughbreds are finer faced making a medium more suitable. Draft Best suited to pure breed heavy set draft type horses such as clydesdales, shires etc. 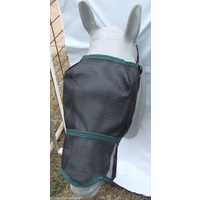 XL Equates to a warmblood size best suited to your typical warmblood. Equates to a Full Size. 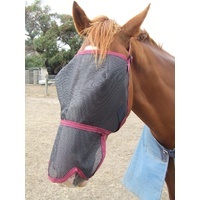 Best suited to your typical thoroughbred or broader faced quarter horse. Medium Equates to a cob size. Small Equates to a pony size best suited to a typical pony with a broader face. Equates to a small pony size. 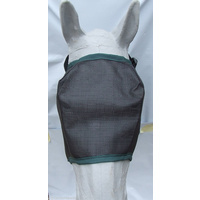 Best suited to a finer faced pony or shetland. 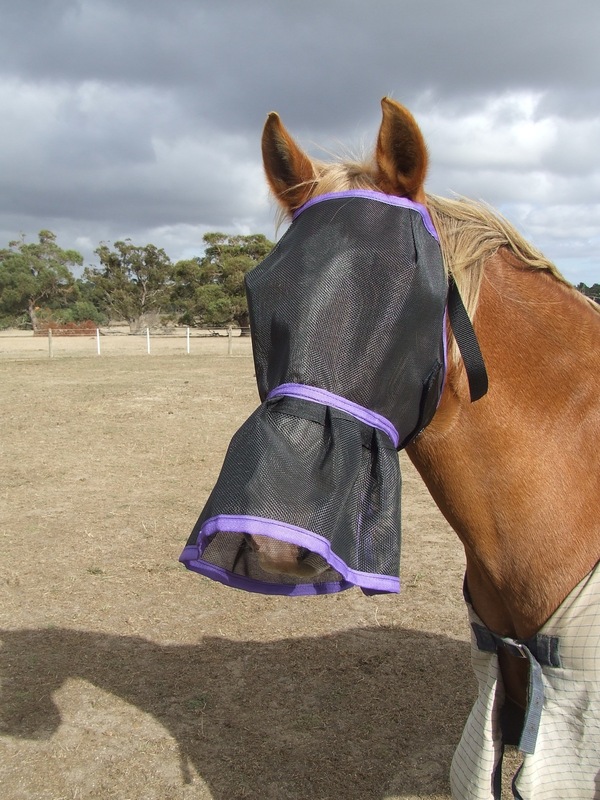 This is NOT a miniature pony sized fly mask. These are fantastic! 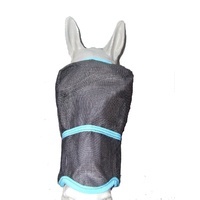 They are a fantastic fit with the nose skirt that wraps almost completely around, unlike others that only cover the front of the nose. Perfect for my girls who have a lot of white on their face, lips and chin.